Rush hour traffic was brought to a standstill this morning when a main road was closed off after a lorry got stuck on a grass verge. 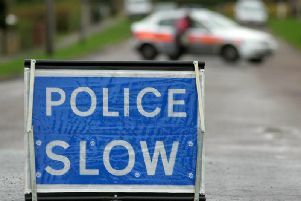 The Pendle Road junction of the A59 leading to Sabden over Pendle Hill from Clitheroe was cordoned off by Lancashire County Council's highways department after the wagon became stuck at around 7-30am just before the Wellsprings pub. Traffic started to back up through Read and into Padiham as drivers had to find alternative routes. A spokesman for Lancashire Police said: "The highways authority closed the road to allow them to recover them the vehicle which is going to take some time."